With much gratitude from the USMjParty, Thank You, Sen. Booker! THIS is what I’ve been praying for! Above: Sen. Cory Booker (D-NJ) announces the “Marijuana Justice Act” live on Facebook, August 1, 2017. Follow link to view video! Senator Cory Booker (D-NJ) took a giant leap to the front of the legalize Marijuana train and did, in fact, introduce what I consider to be a genuine attempt at ending the failed drug war on all of our people. The legalize Marijuana movement has been gaining strength for a number of years now throughout the U.S., and when Attorney General Jeff Session announced his requiem of a failed (and inhumane) war on Marijuana it turned enough heads to say enough is enough! We cannot continue to let our Government lock us in cages for no good reason. There has been numerous Bills introduced so far this year concerning Marijuana, according to GovTrack.us. I am including a few of the links here for convenience. H.R. 3534: To make the Controlled Substances Act inapplicable with respect to marihuana in States that have legalized marijuana and have in effect a statewide regulatory regime to protect certain Federal interests, and for other purposes. H.R. 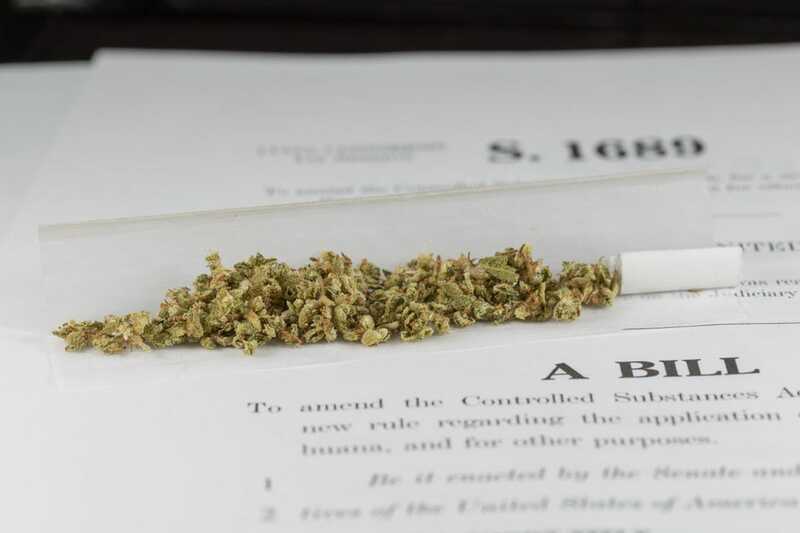 3391: To amend the Controlled Substances Act to make marijuana accessible for use by qualified marijuana researchers for medical purposes, and for other purposes. H.R. 2020: To provide for the rescheduling of marijuana into schedule III of the Controlled Substances Act. The only way to truly end the war on marijuana is to remove it from the CSA and then continue down through the individual States. This is what Sen. Booker is trying to make happen with the Marijuana Justice Act and I certainly hope that everyone gets behind him on this most important endeavor. Here is a link to his Twitter where you can send him a message to congratulate him on this awesome step his is taking! We cannot continue to let our people die on rogue street drugs such as heroin and fentanyl because they have to pass a drug test for Marijuana. End the madness now! End the war on drugs! REPEAL PROHIBITION!